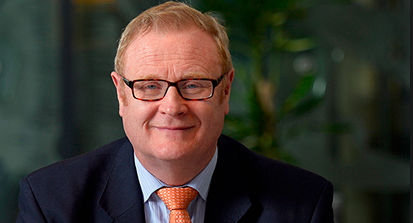 Edinburgh-based fund management firm Martin Currie, the £17 billion active equity specialist that is part of the Legg Mason group, is expected to announce that it has promoted Julian Ide to the role of chief executive, according to a report in London’s Financial Times newspaper. Current long-serving CEO Willie Watt would become chairman of Martin Currie. Ide joined Martin Currie as head of distribution and strategy in May 2018 and is responsible for further broadening the firm’s global distribution capability across geographies and products. He has more than 25 years’ experience in the investment industry, including as CEO of Source, one of the largest independent ETF providers in Europe which was sold to Invesco in 2017, and Old Mutual Global Investors. He also held senior roles at several other firms including Credit Suisse and ABN AMRO. Prior to his time in asset management Ide worked in corporate finance at Morgan Grenfell (now Deutsche Bank). Ide has lived in Asia and across Europe and began his career as a lawyer, working in private practice for three years. He studied law at Cambridge and has an LLB from Guildford Law School.